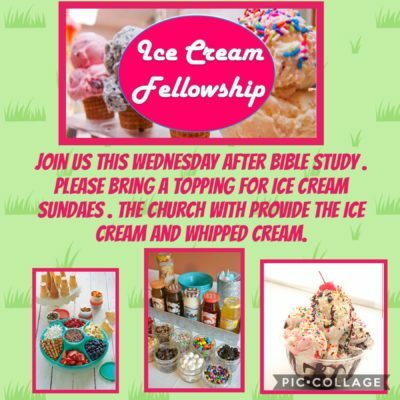 Join us for an Ice Cream fellowship after Wednesday night April 17th after Bible study. Please bring a topping to share. Ice Cream and whipped Cream provided by the Church.